Whether you’re digitizing a collection of family photos or scanning images from an archive, a photo scanner is an incredibly useful preservation tool. There is a lot of variety when it comes to photo scanners, however, and selecting the right one largely depends on how you intend to use it. A home user may want the ability to quickly share scans via social media or e-mail, while an archivist may need more options for entering picture data. We looked at photo scanners aimed at both home and professional users to determine which ones produced the highest-quality scans while balancing ease-of-use and customization options. Read more about our methodology. This flatbed photo scanner gives users a wide range of useful and easy-to-use features. It offers excellent image quality and color fidelity, along with the ability to enlarge photos and correct imperfections. Users who want to digitize photos as well as scrapbooks and notebooks will get a lot of use out of this portable and versatile photo scanner, and will particularly benefit from its removable lid. This affordable photo printer offers exceptional image resolution, especially at this price point. It also comes loaded with easy-to-use features and a space-saving design that cuts down on workspace clutter. If you’re looking for a portable, user-friendly photo scanner, this affordable model has several features that make it easy to pack in a bag, set up, and start scanning wherever you need to. This high-powered, versatile photo, slide, and negative scanner is ideal for artists and archivists who need high-resolution images and very accurate color rendering. It works with almost any original format, from slides to negatives and prints. Users primarily looking to scan negatives and slides will get the most mileage from this film-focused scanner, which offers incredible image quality at an affordable price. It scans film at 9600 dpi and comes loaded with specialized attachments for film. If you want a handy and quick tool for scanning family photos, this portable scanner provides a lightweight and convenient option. 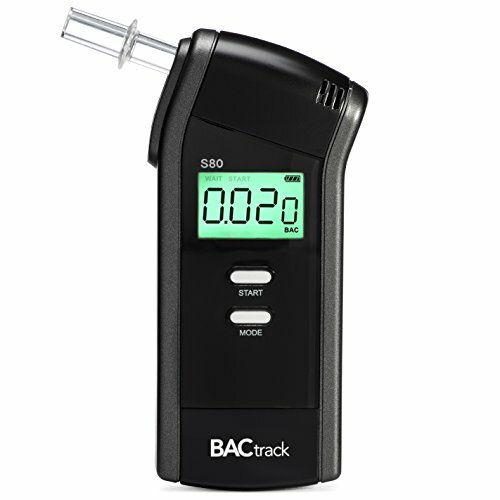 It’s quick, straightforward to operate, and small enough to use anywhere. This photo scanner’s auto-feeder is ideal for bulk scanning projects, allowing you to quickly scan and process a large collection of photographs. It also has excellent double-sided scanning capabilities, which is great if your photos have writing on the reverse side. One of the most important considerations when buying a photo scanner is the image resolution. This is measured in dots per inch, or dpi. Generally, you’ll want a higher dpi to more faithfully capture image details, although if photos are worn or damaged, you may also capture imperfections and need to do some fine-tuning. Higher-dpi scanners will also produce larger image files, which may necessitate an external storage drive for a larger digital photo collection. Buyers should also consider color fidelity when purchasing a photo scanner, since in some cases this may be even more important than image resolution. You’ll want a photo scanner that faithfully captures and reproduces the colors of the original photographs, without loss or fading. This is one of the biggest differences between a general-use scanner and a photo scanner: a general scanner may have decent resolution, but won’t render color quite as well. The ability to fine-tune photo scans is another important factor in buying a photo printer. Most photo scanners use proprietary software for scanning and capturing images, which can work well for quick scans, but might not give users the ability to tweak settings for specific images. Many printers do work with outside software, however, which can give users more control over image intake and rendering. Ultimately, most users will want a relatively easy-to-use photo scanner. While customization options can help get the absolute best image quality, many people might prefer the ability to scan a giant collection of 4x6 photographs without having to change image settings after each one. User-friendly features, such as straightforward scanning software and the ability to scan directly from the photo scanner or feeder tray, can save a lot of time and effort if you’re working with a gigantic collection of old family photos. Photo scanners tend to be more expensive than general scanners due to their specialized features and higher image quality. An entry-level photo scanner might cost between $60 and $80, while a professional-quality scanner can easily cost between $1000 and $3000. Most consumer-grade photo scanners fall toward the lower end of this price range, and are generally in the $150 to $300 range. Photo scanners in the $60 to $80 price range tend to scan images at about 4800 dpi, which is far higher than most document scanners, but not quite as high as mid-range scanners. They also tend to have lower image fidelity, but some will capture and reproduce images relatively faithfully. In the $100 to $300 range, you’ll find printers with higher image resolution (commonly 6400 dpi, but sometimes 9600 dpi). Color fidelity also improves in this price range, as do customization options and added features like photo negative and slide scanning. In the $500 and above range, photo scanners generally offer the highest image resolution and color fidelity, along with a host of customization options and professional-grade technology. 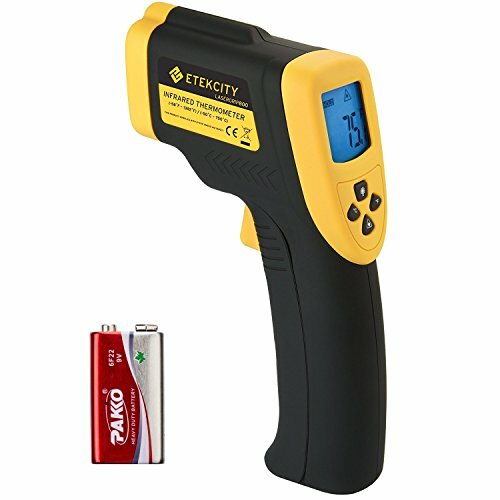 While these scanners are extremely powerful, they may have more features and options than most users will need or use. The Epson Perfection V600 is an excellent printer for users who want to digitize collections of photographs, slides, and negatives. While it’s relatively slow, the image and color quality are both exceptional, as is the ability to enlarge images from both photographs and negatives. It also offers a host of special features, such as image and color correction, that can help digitally restore older and damaged photographs and slides. Amazing image and color quality. This scanner excels on both color fidelity and image resolution. Users love the ability to faithfully capture old photographs and color slides thanks to the scanner’s 48-bit colors. Versatile design scans prints, slides, and negatives. Users also praise this scanner’s ability to handle slides and photo negatives. Several users focus on the ability to quickly create digital photographs from older slides and film. Color and damage correction functions clean up older photos. Many users find the ability to color and damage correct photos while scanning a big selling point. The included software can remove lines from folding and enhance faded colors. Slow scan speed. Particularly while scanning images at a high dpi, users find the scanning process somewhat slow. While a 600 dpi photo is relatively quick, scanning at 2400 dpi and up is a long process. Included software needs improvement. Many users criticize Epson’s scanning software, which they find difficult to use and frustrating. This can make scanning projects take a lot longer and result in some annoyance. Doxie’s portable Flip scanner offers several unique features that make it a great photo scanner for both home and on-the-go use. Its combination of battery power and removable lid simplify scanning a scrapbook without having to remove photos, while its smaller profile provides added portability. While it may not handle larger photos as well, or have the same level of image quality as a stationary scanner, the portable and versatile design are hard to beat. Removable lid gives users options. Users like the versatility that the Flip’s removable lid provides. Several reviewers mention using it to scan scrapbook pages with glued-down photographs. Battery power and onboard memory simplify scanning and uploading. The Doxie flip also benefits greatly from its lightweight, battery-operated design and expandable, SD card-based storage. Users praise the simplicity of uploading scans to their computers. Included software is very useful. Users tend to really like Doxie’s scanning software, which auto-detects image sizes and allows for combining multiple scans into a single image. Lower dpi than other models. One of the biggest shortcomings with the Doxie Flip is its relatively low dpi compared to other photo scanners. It scans at either 300 or 600 dpi, which is enough for sharing on social media, but not for archiving photos. Smaller size limits types of pictures you can scan. 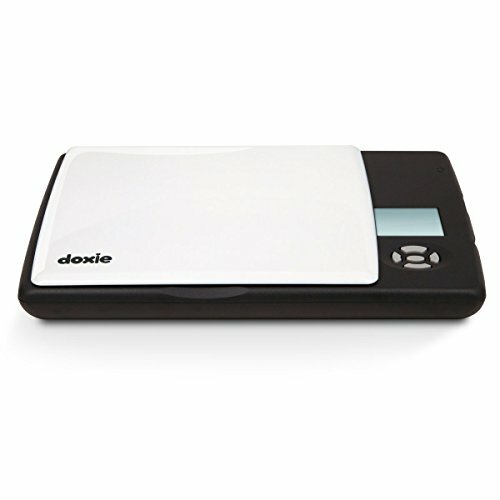 Several users also express frustration with the Doxie Flip’s smaller scanner window. While this enhances portability, it does present some limitations in capturing large-format images. Epson’s entry-level color photo scanner, the Perfection V19, delivers performance that rivals more expensive models, but at a much more accessible price point. It scans photos at resolutions up to 4800 dpi, and renders colors accurately with few adjustments needed. It also incorporates a space-saving stand for stowing it away between scans, and runs on USB power so there’s no need for a separate power cord. Excellent image quality and color fidelity. 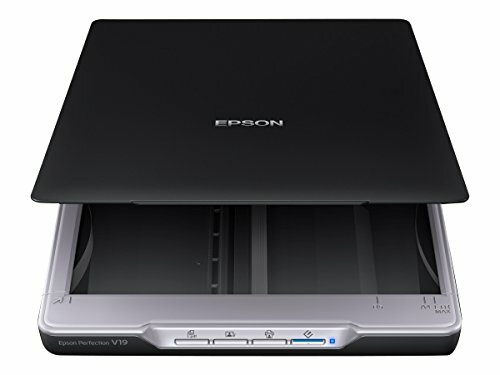 For a photo scanner that costs less than $100, the Epson V19 captures exceptionally high-quality scans. Users rave about its image quality and accurate color capturing. One-button operation from scanner. Several users also like the ability to auto-scan directly from the scanner itself. This one-button operation can save a lot of time, especially if you’re scanning in bulk. 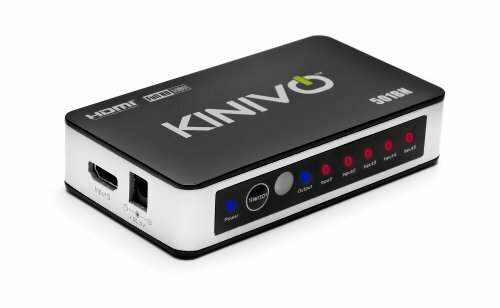 USB power source makes it more portable. The V19 draws power directly through a USB cord, which eliminates the need for a dedicated power source. Users say this greatly enhances the scanner’s portability, since they only need a single cord. Space-saving stand keeps the scanner out of the way between uses. Reviewers also single out the space-saving stand design of the V19, which allows the scanner to be stored on its side, saving desk space. Epson Scan software can be frustrating. Several users report issues working with Epson’s scan software, which they find clunky and hard to navigate. Users also note, however, that the scanner works with other scanning software. Not compatible with Mac computers. If you’re using a Mac computer, this scanner probably isn’t your best bet. Many users have compatibility issues when trying to scan to their Macs. Canon’s CanoScan LiDE220 is a solid all-around scanner, with straightforward operation and several added features that make it a great budget choice for scanning photographs. It uses Canon’s image-scanning software, which is much more intuitive and user-friendly than competitors’ software, and saves time by allowing you to scan multiple photos at once and separate them into separate files afterward. It does suffer somewhat due to its lower resolution, however. Fast and simple operation. Users praise the LiDE220’s straightforward operation and quick scanning. They particularly note the ability to capture multiple photographs in one scan, which saves a lot of time. Multiple features to enhance portability. Reviewers also like that this scanner incorporates several design elements aimed at making the printer more portable, including USB power, a locking lid, and a low-profile design. Easy-to-use scanning software. Many reviewers find Canon’s scanning software easy to use and intuitive. It works particularly well with Macs, which makes this a good pick for Mac users. Color accuracy could be better. Some users find the color accuracy falls a little bit short with the LiDE220. If you want completely faithful colors, you may need to adjust your photos in a dedicated image editing application. Scanner has compatibility issues with Windows 10. Several users ran into compatibility issues with the Windows 10 operating system. This issue prevents users from installing the scanner, which is a big headache. A professional-grade photo scanner is a big investment, but if you’re looking for the highest resolution, most accurate color matching, and the ability to scan any type of media, a high-end model is worth the investment. You should also consider speed when looking at professional-quality photo scanners, as working with an archive or large body of photographic work, a scanner needs to quickly process an image and make it easy to add metadata and other information. 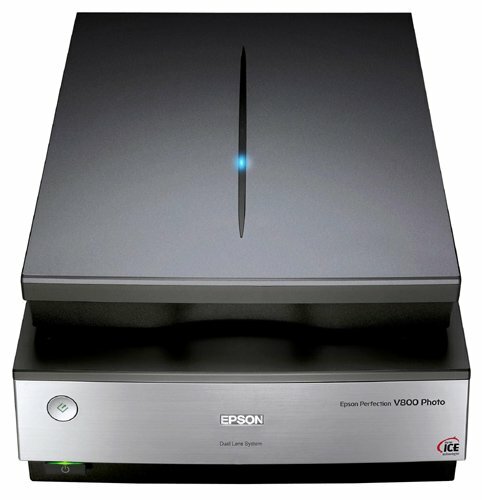 Epson’s Perfection V800 scanner is built for taking on serious scanning and archiving projects, with high resolution, color-accurate scanning that’s perfect for archival work and artists. It works well across media, so you can scan prints, slides and negatives. It also includes a wide array of film holder to enhance efficiency and productivity. In addition, the included software allows for a great deal of customization if you’re willing to take some time to set it up. Amazing image resolution and color. The V800 scans images at 6800 dpi, which captures an impressive level of detail. Users also praise the color accuracy of the V800, particularly when it comes to darker areas. Software allows for fine-tuning and customization. 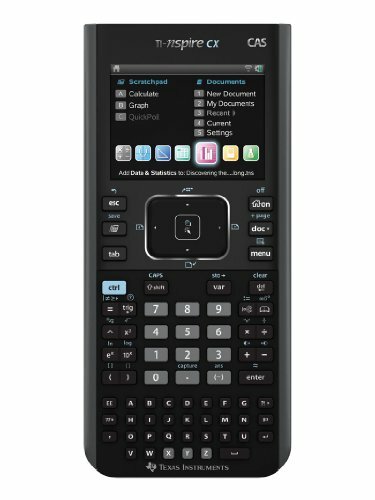 The V800 includes SilverFast SE software, which lets users customize each scan. While many reviews note that this software takes some time to learn, it does enhance the scanner’s performance. Included inserts work with a variety of film types. The V800 comes with several inserts designed to make scanning film, negative, and slides easier. Users report that these inserts are particularly useful for larger scanning projects, since they can capture 12 to 20 images at a time. Bulk scanning can be very slow. Several users mention that bulk scanning projects, especially at a high resolution, can be very slow. This is in part because users need to operate the software to have the printer capture multiple images. If you’re primarily working with photo negatives and slides, you’ll need a specialized photo scanner to process images. A number of these specialized photo scanners are now available to consumers, making it easy to recover old photographs from film negatives or images from photographic slides. You can even find photo scanners that offer this capability in addition to photo scanning, so that you can scan collections that have both photo prints and negatives using one scanner. The CanoScan 9000F is specifically designed for slide, film, and negative scanning, and includes a number of features that make scanning from these sources intuitive and powerful. 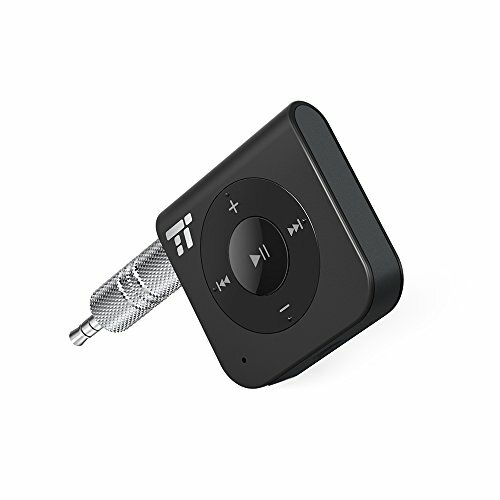 With an image resolution of 9600 dpi for film and 48-bit color, it captures outstanding reproductions. While it can also scan photos and prints, it does so at a much lower resolution, and is clearly intended for working with film and slides. Amazing image resolution for film and slides. The ability to scan slides and film at up to 9600 dpi is particularly impressive, although users report they rarely need to use the highest-resolution setting. High ratio of price to performance. Considering the CanoScan 9000F’s capabilities, it is extremely affordable. Users find that, particularly for slides and film, it far outperforms other printers in the under-$200 price range. Captures scans relatively quickly. Even with its high-resolution image capture, the CanoScan 9000F is a very fast scanner. Users say they can quickly scan large collections at higher resolution without the scanner slowing down. Lower resolution when scanning prints. 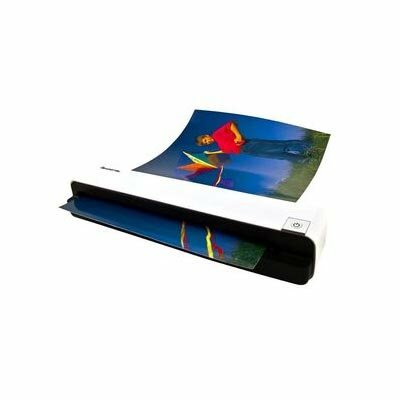 For prints and other documents, the CanoScan offers a resolution of 4800 dpi. While this is a significant drop from the 9600 dpi film and slide scanning resolution, it’s still comparable to other scanners in this price range. Mac compatibility issues are common. As is the case with many photo scanners, users report that the CanoScan 9000F runs into compatibility issues with Mac operating systems. A portable photo scanner is perfect if you want to scan photos without having to connect a computer. If you’re visiting family and hoping to scan a few favorite photos, for example, you may not want to bring your home computer with you. 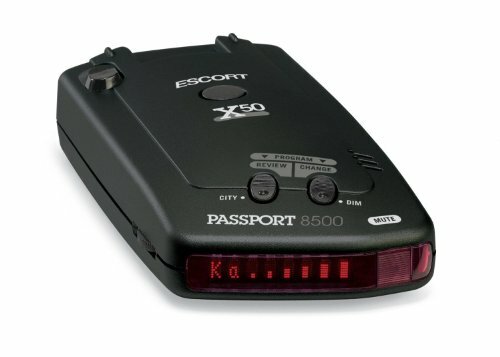 These portable scanners offer a lightweight solution and use on-board memory to store photos until you’re ready to upload them to your computer or cloud storage. You’ll want a model with a large memory card, or the ability to add higher-capacity storage. While the Pandigital Personal Photo Scanner/Converter doesn’t offer extremely high-dpi scans or image correction software, it more than makes up for its limitations by being both very fast and easily portable. You can operate it without needing to plug it into a computer, which is perfect when you want to get a quick scan of a favorite photograph. It also has easily-expandable storage, which can greatly enhance its capabilities. Quickly scans and processes photos. One of the biggest benefits of the Pandigital Scanner is its speed. Users love the ability to quickly scan several images in a row without having to open a flatbed lid and adjust settings. SD card allows for expandable storage. Reviewers also enjoy having the option to expand storage by switching SD cards. 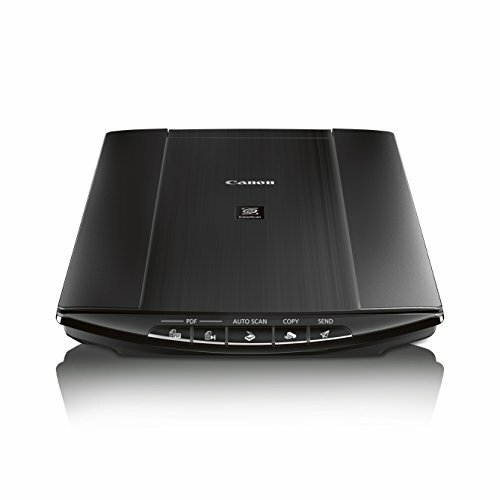 The scanner includes a one-gigabyte card, but can accommodate larger ones as well. 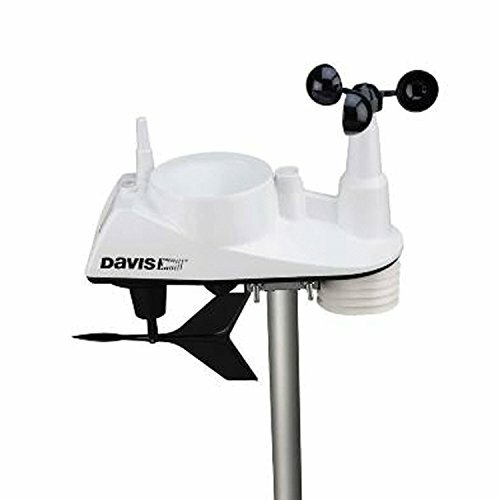 Very easy to set up and operate. Users find the Pandigital Scanner very simple to operate, with several reviews noting that it requires almost no setup and is extremely user friendly. Only offers two image resolutions. This scanner only scans at 300 or 600 dpi, which some users might find limiting. Reviews mention, however, that this resolution works well for posting to social media. No image correction capabilities. 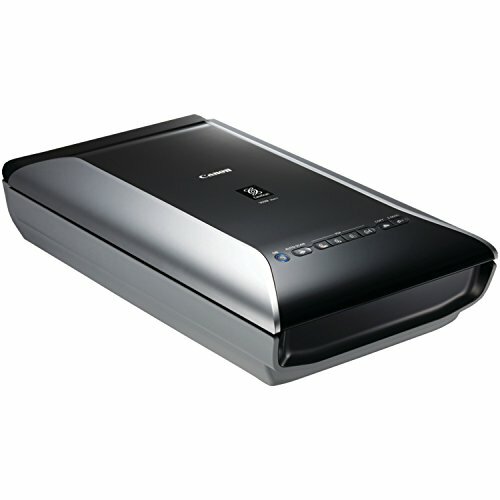 Users who want the option to correct images and make adjustments while scanning tend to be frustrated by this scanner. You’ll need separate image manipulation software to make adjustments. Users who are digitizing a large collection of photographs may find a flatbed scanner too slow. If you want to scan several photographs without needing to repeatedly open the scanner and place each one on the glass, a photo scanner with a feeder is an excellent alternative. While it’s not ideal for working with older, more brittle photographs, you can quickly and efficiently process entire boxes of photographs with little to no interruption. 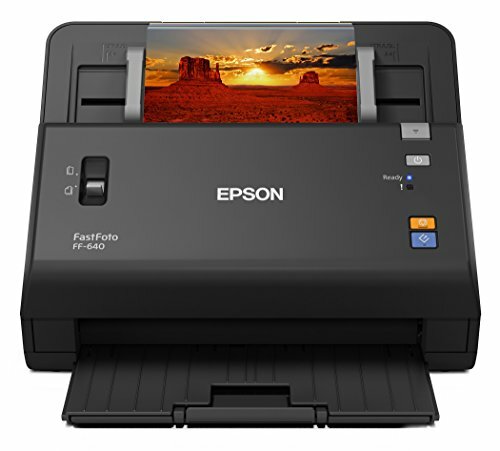 The Epson FastFoto FF-640 is an efficient and powerful scanner that uses an auto-feeder to rapidly scan prints from 4 x 6 inches to 8 x 10 inches, which is ideal for users digitizing photo collections. 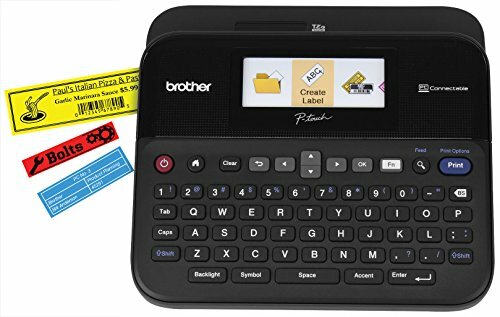 It also offers the ability to scan both sides on a photograph in one pass, which helps preserve writing on the backs of pictures. However, it does come at a higher price point than some users might like. Works with a wide variety of print sizes. The FastFoto FF-640 can handle photographic prints ranging from 4 x 6 inches to 8 x 10 inches, which lets it handle most common photo prints that users have in their personal or family collections. Auto-feeder helps support high-speed scanning. Many reviewers appreciate the auto-feeder functionality of the FF-640, which lets you load a stack of uniformly-sized photographs for scanning. This cuts a lot of time out of digitizing a large collection of photographs. Double-sided scanning helps preserve backs of photographs. 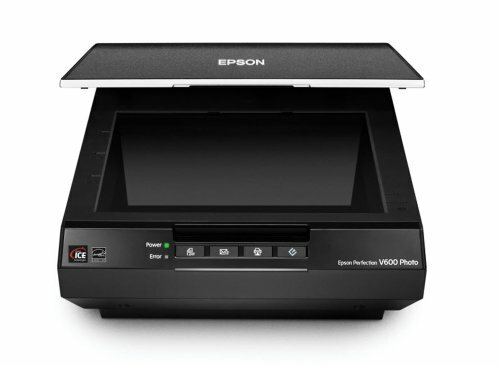 Double-sided scanning is a user-favorite feature of the FF-640. Family archivists love that they can easily preserve handwriting without having to scan the same photo twice. Very expensive for home use. The biggest recurring negative comment about the FF-640 is the price point. It’s nearly as expensive as professional-grade photo scanners, which is more than many users want to spend on a home scanner. Lower dpi than similarly priced models. Closely related to the price point, the image resolution on this scanner leaves a lot to be desired. It only scans at 300 or 600 dpi, which is lower than some users might want at this price point.